Snowflake Christmas Tree Ornaments for Sale! Presenting a snowflake Christmas tree ornament with several large and small authentic faceted Swarovski rhinestones. 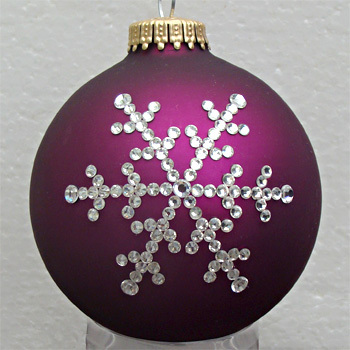 Snowflake Christmas tree ornaments with authentic Swarovski rhinestones can be purchased at Designer Ornaments. Snowflake Christmas tree ornaments depicting a snowflake can be purchased at Designer Ornaments.